You've heard of baby-proofing your home, but Largo Police officers want to help you burglar-proof it. 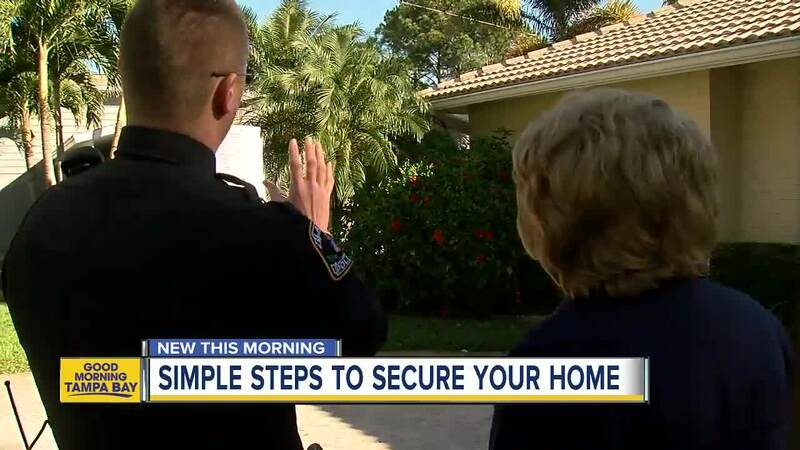 LARGO, Fla. — You've heard of baby-proofing your home, but Largo Police officers want to help you burglar-proof it. 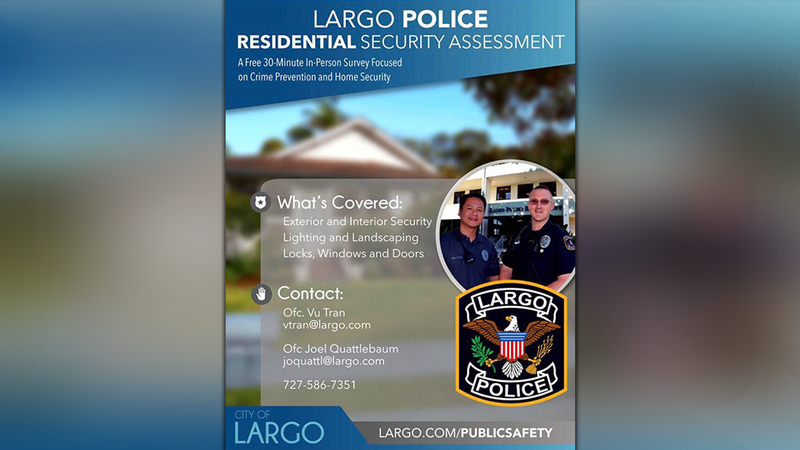 The Largo Police Residential Security Assessment program started last year, but they want more people to take advantage of it. "You're one step ahead of the criminals," Officer Joel Quattlebaum says. ABC Action News followed Quattlebaum and his partner, Officer Vu Tran as they did a walk-through. During the walk-through, they said they will spend about 30 minutes looking at the outside and inside of your home, giving you an idea of what you can improve to keep you and your family safe. The biggest mistake Officer Quattlebaum says he sees all the time is landscaping. Your shrubs and bushes should be two feet high and your tree limbs shouldn't hang below six feet. "Someone could easily just kind of crouch down or be laying down," Officer Quattlebaum says. He also says adequate lighting is a big issue, but there's a cheap fix for that. "Simple LED lighting you can normally purchase from a home improvement store for relatively cheap and then you can just mount it with 3M tape or a simple screw," he says. If you're a Largo resident who would like to schedule an appointment to get your home inspected, call 727-586-7351 or email joquattl@largo.com or vtran@largo.com .